teacher and Member of the International Reading Association). by literacy experts, school reform leaders and distinguished authors over the last 30 years. Pasay City, Philippines; – caused by lack of reading and comprehension skills. by a progression from juvenile delinquency, to long term unemployment and crime. Reading Aloud Program into 19 schools in Pasay City. 4) To benchmark student reading and comprehension performance pre and post project implementation. First Teacher Training Workshop: 29th November 2014. 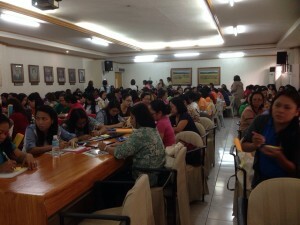 Division Office Conference Hall, Pasay City. Supervisors, 2 Chiefs-Governance and Curriculum Divisions. 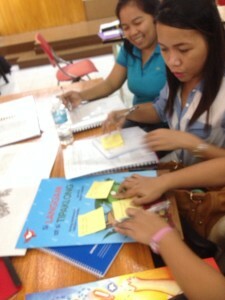 supported by 3 faciliators from the Reading Association of the Philippines. with the hope that this training be extended in the next phases to come.